I assigned a self signed wildcard certificate to an OpenWRT (LEDE) router LUCI (uHTTPd) system. 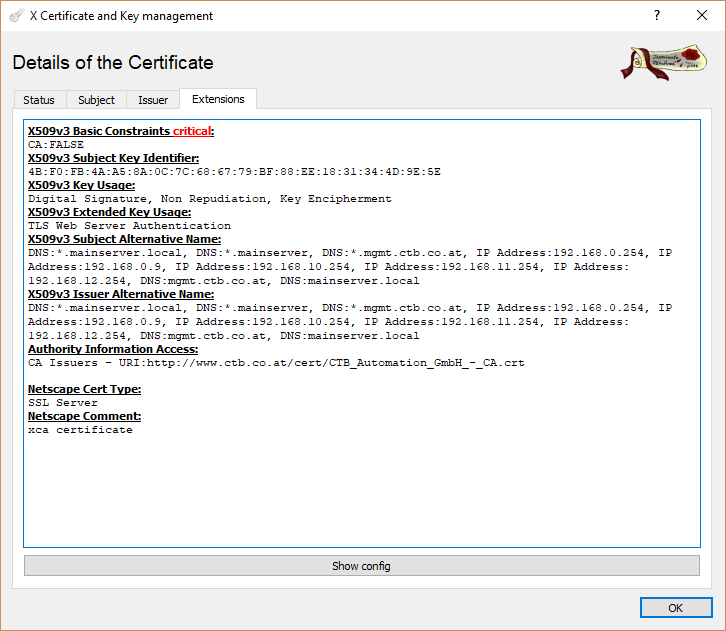 The CA which signed this certificate got added to all browsers as trusted certificate authoritiy. 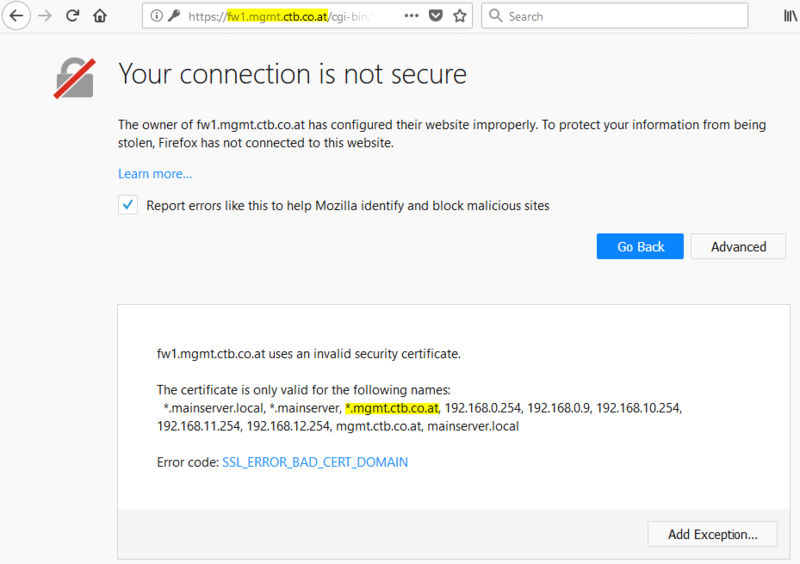 It works fine on Internet Explorer, Edge and Chrome, but not on Firefox 58.0.2, which throws the error SSL_ERROR_BAD_CERT_DOMAIN, even when it states on the same error page that the certificate is issued for this domain. If I issue the certificate directly for the host (no wildcard) then it works fine in FF as well. Browse other questions tagged ssl-certificate firefox wildcard openwrt or ask your own question. EC2 Apache server giving some old browsers a self signed certificate? Why are self-signed SSL certificates untrusted by browsers?